Wow!! Just wow!! These guys are top notch! Burt and his crew are amazing, not only did they reply in a very timely manner, but they also were sensitive to my financial restrictions. From start to finish the job was done in a flash and also with beautiful attention to detail! I would recommend Burt with Landscape Innovations to any and everyone! Blaze C.
If you want expertise, experience and long-term return on investment of any landscaping, drainage and/or outdoor living project, Burt Young and Landscape Innovations is the only quality resource to consider. Burt has my highest recommendation and sincerest gratitude for the value proposition his company provides. Looking forward to the next project with this company. Nic G.
Burt built a beautiful paver patio w/sitting wall and a fire pit ring in our backyard. It has transformed the yard into a gathering space that we will enjoy for years to come. We look forward to finishing up with Burt in the spring with Phase 2 -- new sod! Michelle H.
Burt and his team did a great job for me on a fairly large job of grading, new sod and a retaining wall. I am very pleased with the outcome of the project and would highly recommend him for any landscaping projects small or large. He takes pride in his work and works hard to meet his customers expectations. I will be using him again for a smaller job in the next few weeks. 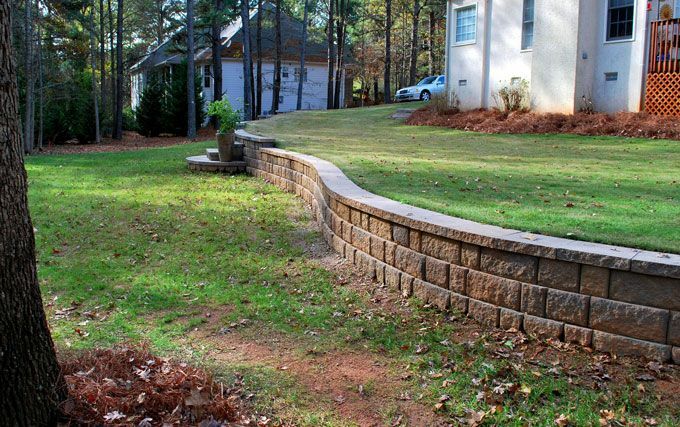 lane p.
Burt just finished putting in a large retaining wall for me. The work was done perfect and I love the end product. What I value the most was his insight and advice. He could have just built what I told him, but instead he advised me to make adjustments. His suggestions were an improvement and actually cost less than what I asked for. Its refreshing when someone gives you advice that will save you money when he could have pocketed the extra profit! Love working with him. Alicia A.
Burt is very knowledgeable in his field and has a great eye for design. He is honest and fair with his prices. He is also direct and to the point in his proposals and with working with his clients and their needs. 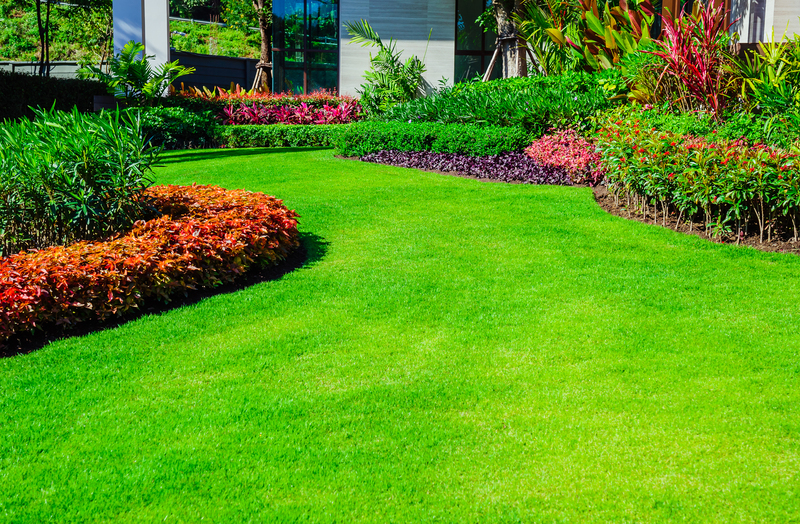 Whether you want drainage issues fixed, a yard makeover or a wonderful backyard oasis, Landscape Innovations will give you the most for your money. 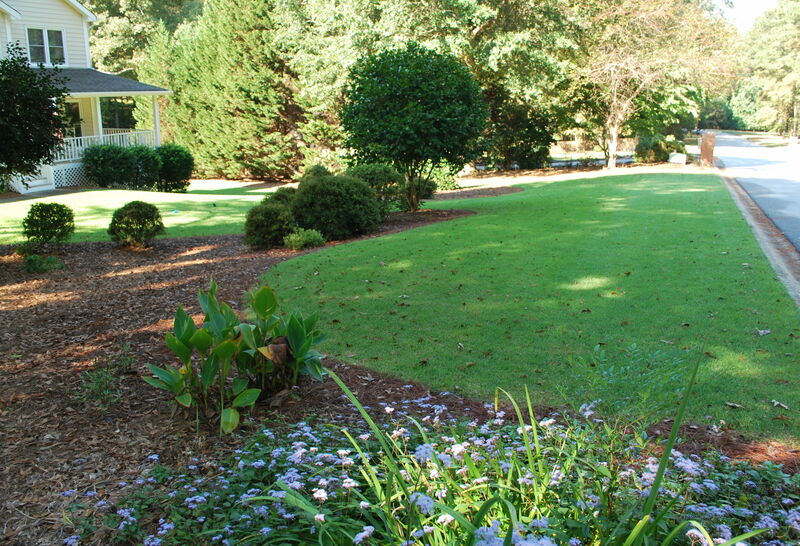 Kim B.
Burt and his Team advised, managed, and executed on major grading, root removal, sod, and plantings as if it was his own yard. He took as much pride in doing it right as I had in envisioning the end result. He took care especially in how the yard would drain. My wife and I were so pleased with the end result! Additionally, we had a new driveway put in at the same time with an extension that required grading to be done. Not only did Burt ""just do it"" but when he ran into below grade tree roots (two were three foot in diameter), he arranged a sub-contractor to come in and grind them out. He didn't stop and make it my problem. Again, if you want someone who will own your project, execute as if it were his, and provide a top-notch end result, I recommend calling Burt. Chris T.
Burt came in under budget and the work was exactly as quoted - with amazing results! Linda R.
Burt and his team were absolutely fabulous! We initially consulted with him 3 years ago, then due to unexpected family issues had to delay our plans. 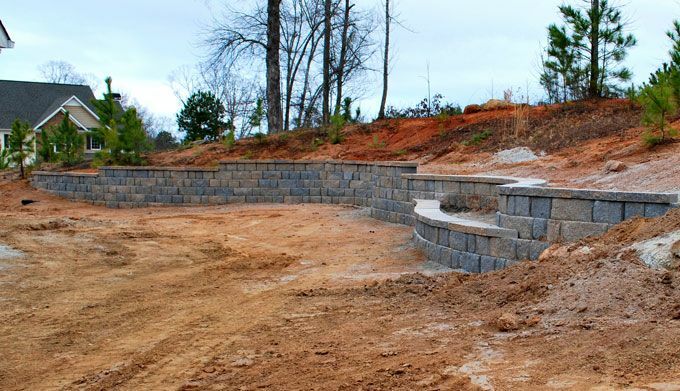 He was more than willing to wait, and when we were ready this fall to get our retaining wall replaced, we knew we wanted him to do the work for us. He was incredibly patient and thorough in explaining all the details of what would go into building the new wall, and was committed to giving us a wall that would not just ""retain"" our hill, but actually accent our yard, fit our lifestyle, and give us more usable space. For instance, we love going to visit our neighbors, and he took that into account, figuring out how to build beautiful stone steps that we can walk up to our neighbors' house. We did go slightly over budget (less than 10%), but Burt made sure to get our authorization before he spent additional funds, and the overages really were aesthetically justified. We've gotten compliments from multiple neighbors in our subdivision about the appeal of our wall, as well as how polite and thoughtful Burt and his team were. Can't recommend him enough, will gladly be contacting him again in the future as we decide to pursue further landscape/hardscape projects. Amanda R.
Burt took just under an acre of a yard that was dirt and tree roots and turned it into a beautiful yard my kids can enjoy. Jason B.
Burt Young is an honest and knowledgeable person. Although he couldn't help me, he directed me to whom can address my needs. What a great guy! Nancy D.
Burt is tremendous He has great design ideas and turned our simple thought into a wonderful outdoor living space. Pictures isn't he gallery on the website. The round fire pit built into a hill side. 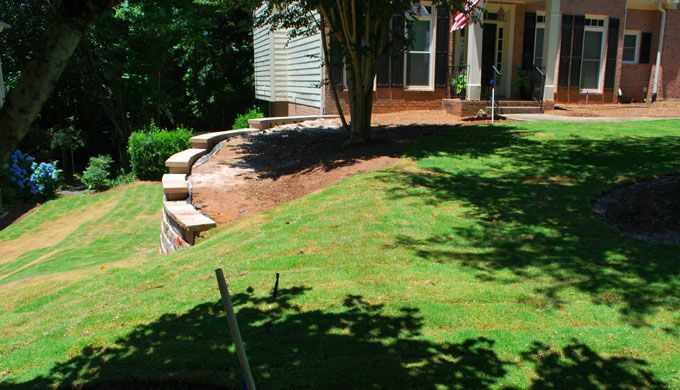 You can't go wrong with Landscape Innovations Murray P.
Several years ago we contracted with Landscape Innovations to sod our front yard. We had already removed many large pine trees and we needed someone to re grade and smooth the yard then install sod. The owner, Burt explained how they amend the soil with sand to make existing soil more absorbent and the other steps that should be taken to insure a beautiful lawn for years to come. The lawn still looks great so when he called and asked if we would leave a review i was happy to help. They took the time to get it right and were more knowledgeable than the other companies we spoke with. We a couldn't be more satisfied. Kay Y. We had a wonderful experience with Landscape Innovations. Burt was friendly, professional, and reliable. Our yard was large, unusable and steep with drainage problems. Burt took the time to solve our problems and delivered an incredible yard our entire family can enjoy. He came in under budget and exceeded our expectations. We just hired him to help us with another big project. 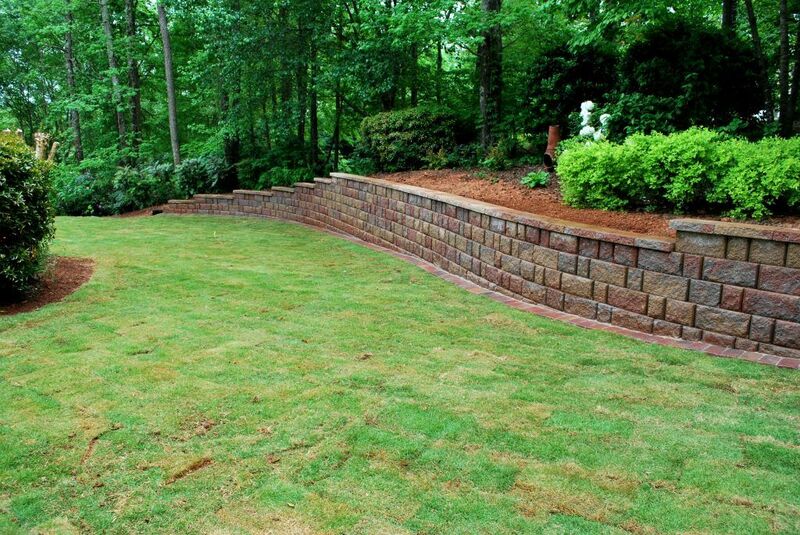 Anthony M.
Worked with Burt and his team last summer for a major reshaping and retaining wall project. We were leveling a section of our yard by several feet and had to build a retaining wall that rounded out the back corner of our lot, was over 30 feet long, and peaked at just over 5 feet tall. Landscape Innovations clearly exemplifies each of these attributes. Burt was always upfront with any concerns he had over the project and offered multiple solutions for me to evaluate. He took the time to explain any reasons why we might need to deviate from the original plan, always explained costs, and always showed up when he said he would. The quality of work and materials left me confident that I made the right choice for my yard project. Everything was handled well and there were no major delays in the project, nor did they rush off to start the next. I fully plan to use Landscape Innovations again in the future for any major yard renovations. 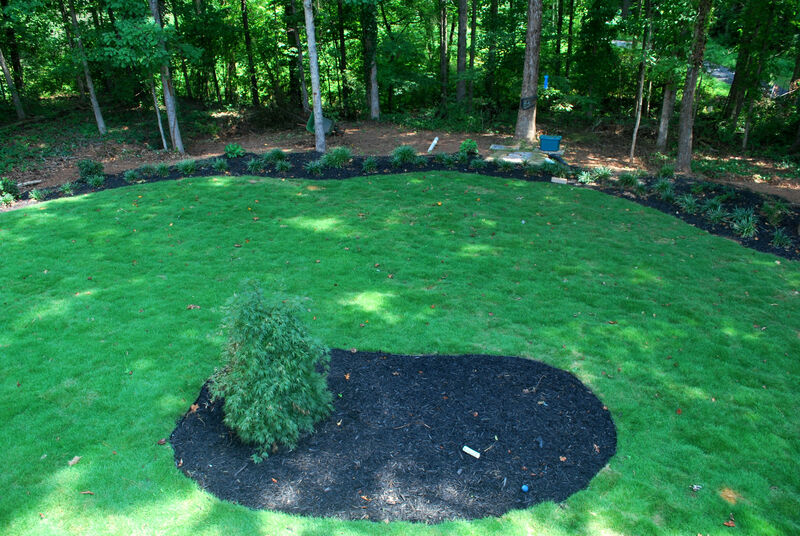 Michael H.
We hired Landscape Innovations spring 2016 to help with drainage problems in our backyard. Burt gave us several options to alleviate the problems we were having and explained the reasons for each. His ideas for landscaping the yard once the drainage issue was taken care of were reviewed with us and again his reasoning explained. Communication was always flowing. 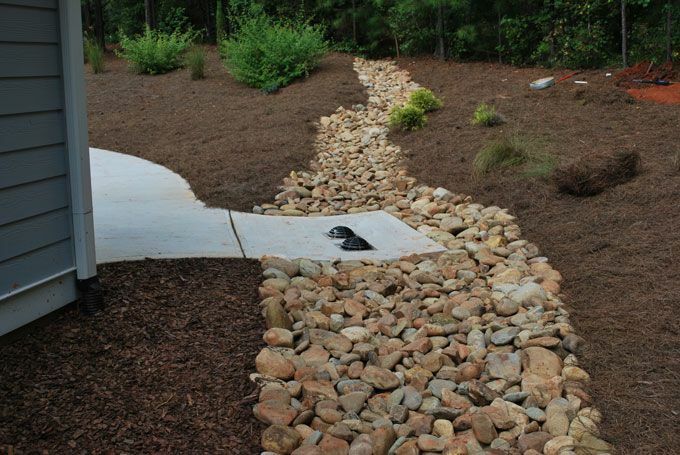 We have high praises for Landscape Innovations. diane c.
Professional service. Reasonable price. Highly recommend!!! Tiffany C.
Burt did an outstanding job on our ugly overgrown juniper bank at my church in Tyrone. Completed the job on time and within estimate charges. Highly recommend. Doris R. Wow!! Just wow!! These guys are top notch! Burt and his crew are amazing, not only did they reply in a very timely manner, but they also were sensitive to my financial restrictions. From start to finish the job was done in a flash and also with beautiful attention to detail! I would recommend Burt with Landscape Innovations to any and everyone! 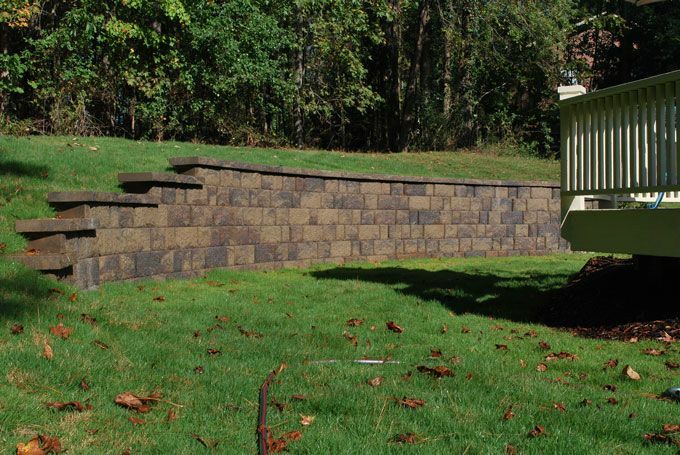 If you want expertise, experience and long-term return on investment of any landscaping, drainage and/or outdoor living project, Burt Young and Landscape Innovations is the only quality resource to consider. Burt has my highest recommendation and sincerest gratitude for the value proposition his company provides. Looking forward to the next project with this company. Burt built a beautiful paver patio w/sitting wall and a fire pit ring in our backyard. It has transformed the yard into a gathering space that we will enjoy for years to come. We look forward to finishing up with Burt in the spring with Phase 2 -- new sod! Burt and his team did a great job for me on a fairly large job of grading, new sod and a retaining wall. I am very pleased with the outcome of the project and would highly recommend him for any landscaping projects small or large. He takes pride in his work and works hard to meet his customers expectations. I will be using him again for a smaller job in the next few weeks. Burt just finished putting in a large retaining wall for me. The work was done perfect and I love the end product. What I value the most was his insight and advice. He could have just built what I told him, but instead he advised me to make adjustments. His suggestions were an improvement and actually cost less than what I asked for. Its refreshing when someone gives you advice that will save you money when he could have pocketed the extra profit! Love working with him. He is honest and fair with his prices. He is also direct and to the point in his proposals and with working with his clients and their needs. 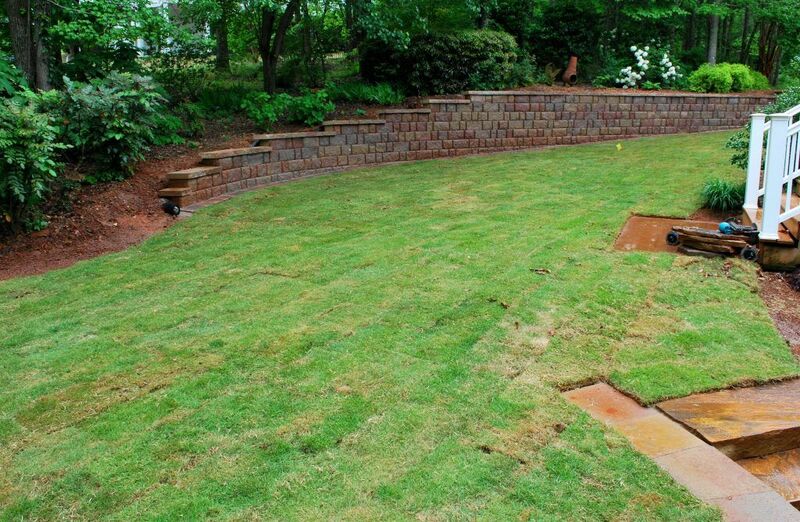 Whether you want drainage issues fixed, a yard makeover or a wonderful backyard oasis, Landscape Innovations will give you the most for your money.